Apple's follow-up to the iPhone X will cost less to produce than the current model, a report claims, with the next-generation smartphone thought to have a manufacturing bill of materials more than 10 percent lower, despite expectations that it will have upgraded specifications. 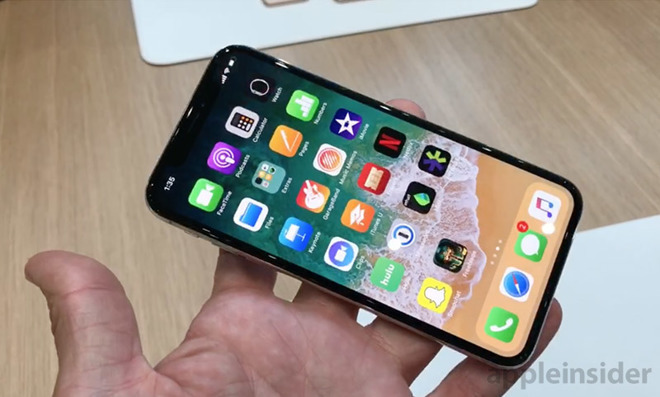 Analyst Luke Lin of Digitimes Research claims a 5.85-inch OLED iPhone believed to be arriving this fall as part of the iPhone line's yearly update will be far lower than the existing MBOM for the iPhone X, which he claims was more than $400 when it launched last year. Effectively this suggests the unannounced smartphone will cost Apple at least $40 less to produce than the iPhone X at launch. Lin's claimed cost of production is considerably higher than the amount speculated in a teardown and analysis of installed components performed in November shortly after its release. At the time, the 64-gigabyte iPhone X was said to cost approximately $357.50 to produce, including the cost of labor for the final assembly of the device. According to Lin's supply chain study, Apple has managed to reach an agreement with Samsung Display to secure "satisfactory terms" for OLED display panels that will prevent the cost rising. Samsung Display was allegedly in a better negotiating position for the deal due to Apple supposedly ordering fewer OLED panels than it previously committed to buying for the iPhone X. For other components, Lin does not describe what measures are being taken by component vendors to make the device cheaper to produce, instead calling them a "cost reduction." Lin does agree with speculation that there will be three iPhone devices shipping this fall, with a 5.85-inch OLED device joined by a 6.45-inch model and a 6.1-inch LCD version. It is suggested that the cost savings could make the model with the smaller OLED panel the cheapest of the three at retail.